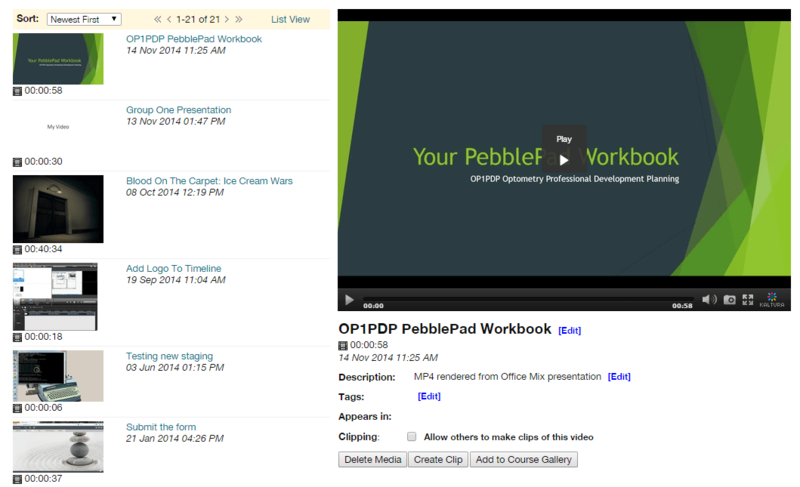 Create clips from your videos and, if the original uploader allows it, videos in the course gallery. Locate the video you want to create a clip for. Click Create Clip. If you are in the Course Gallery and this doesn’t appear, the original uploader has not allowed other users to create clips. The new clip is owned by you and is treated as a regular video which you can add to your Blackboard courses either as a video item or via the Kaltura mashup.